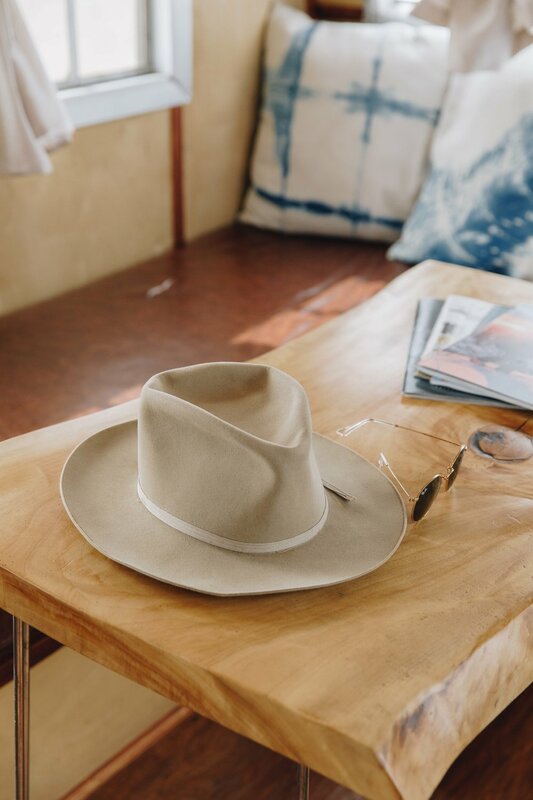 With vast open skies and sage filled lands, welcome to Taos, New Mexico. We drove from Santa Fe to Taos by taking the "long way" - up HWY 285. This was amazing as you went through the river gorge (Rio Grande) to the mesa which is covered in Sage bushes. I've been hearing about this creative town but truly hadn't done much research before visiting. As we rolled into our first stop - Earthship Biotecture I knew this was going to be a trip. Earthship Biotecture is a community of completely sustainable homes made of natural and upcycled materials. I couldn't believe that these homes were fully self sufficient in the middle of the desert! One of our favorite meals of the entire trip was at The Love Apple. 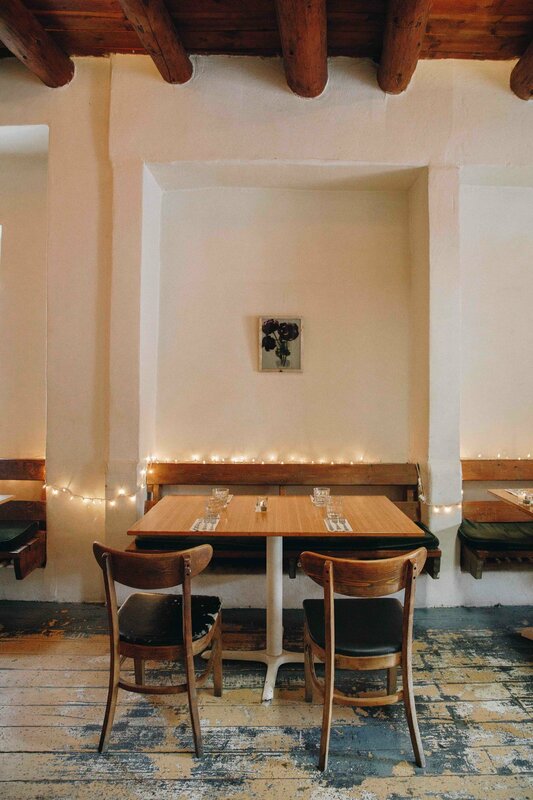 It's an organic restaurant serving absolteluy delicous local dishes in an 1800's church. What made our experience in Taos was our Airbnb - Hotel Luna Mystica. They've made an entire park just outside of town filled with massive vintage trailers. The views of the mountains are gorgeous and we watched some of the most firey sunsets of our lives. 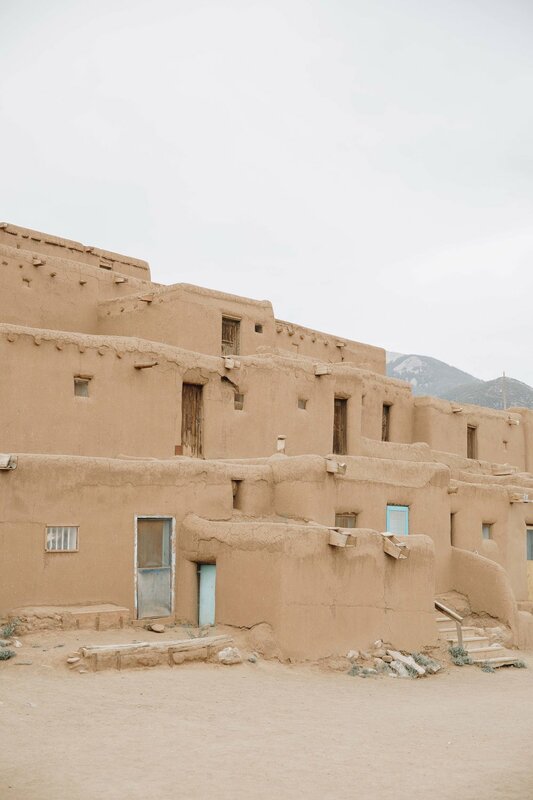 You can't go to Taos without visiting the old Pueblo of Taos. It definitely felt like we had traveled back in time but it also felt like we had traveled to Morocco. The mud adobe buildings are absolutely gorgeous. If you're a photographer, you know the best time to take photos is sunset and sunrise. It's tough to get up, but the sunset over the Rio Grande outside of Taos was unbelievable. In order to get this shot here you have to cross over the bridge which rattles anytime a massive semi goes over it (ridiculously scary). The homies over at Luna Mystica let us know about a pretty dope hot spring in the area - Manby Hot Springs. It's a solid 1 mile hike down the mountain, which means a solid 1 mile hike up the mountain. Completely worth it, especially because we had the place to ourselves.